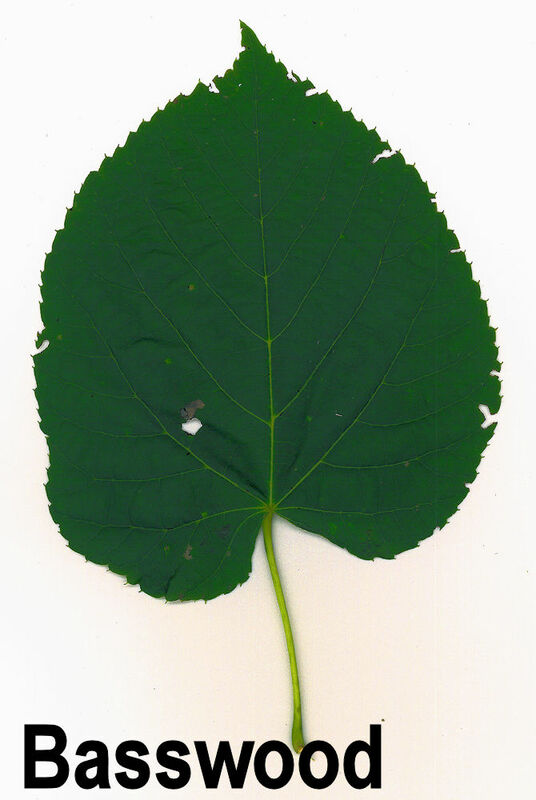 LEAVES are distinctly heart-shaped and about as wide as they are long,3-6 inches long, coarsely-toothed with a taped tip. Terminal BUDS are roundish, shiny, and brick red. 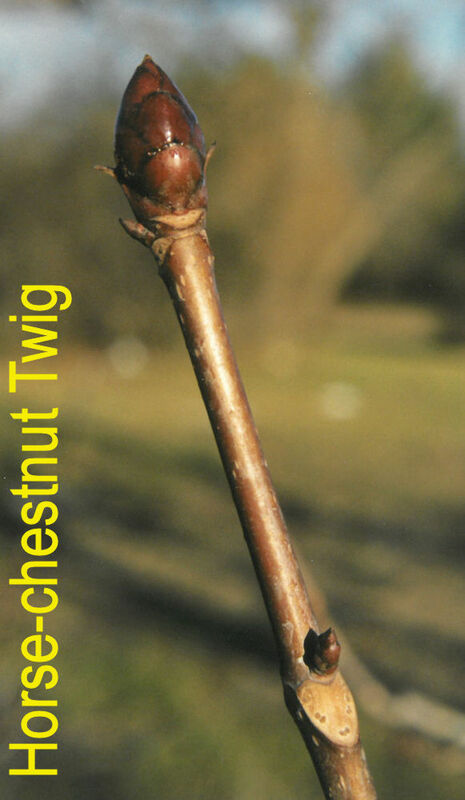 TWIGS are dark gray or brown and smooth. FRUITS are hard, little nuts that look like peas. 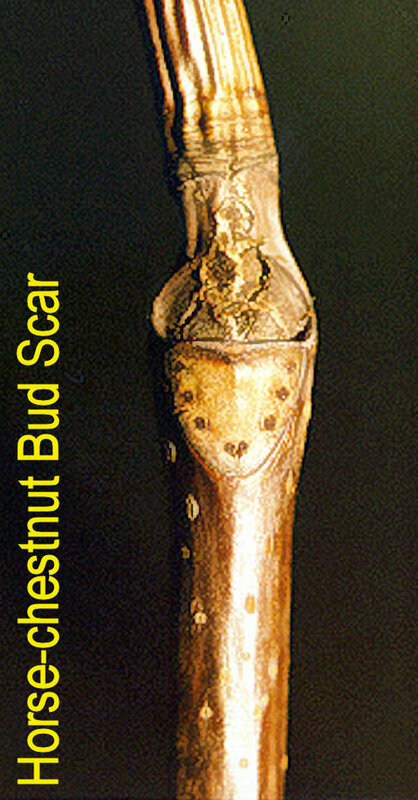 There is usually a cluster of a half-dozen or so on the stalk. 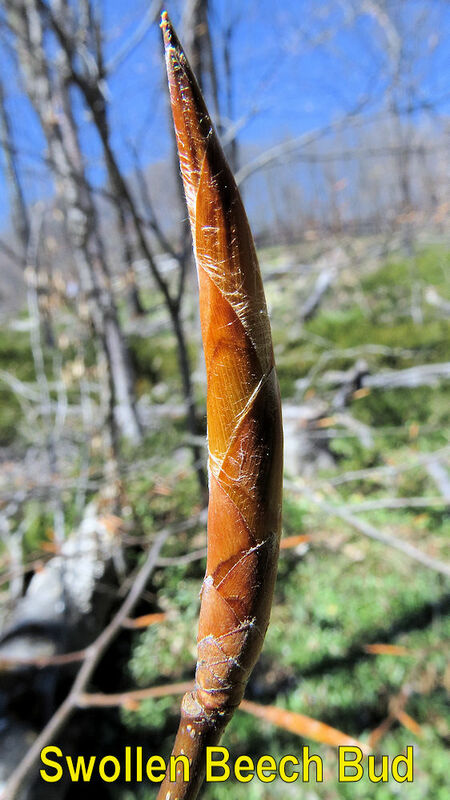 The stalk starts from a special leaf that is very long and narrow. 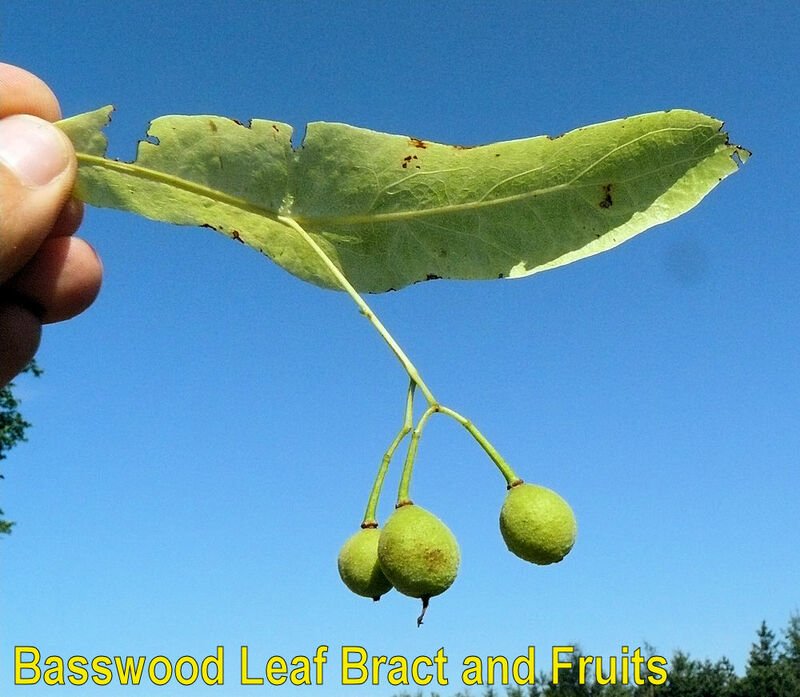 The fruit stems and special leaf often remain on the tree well into the winter. 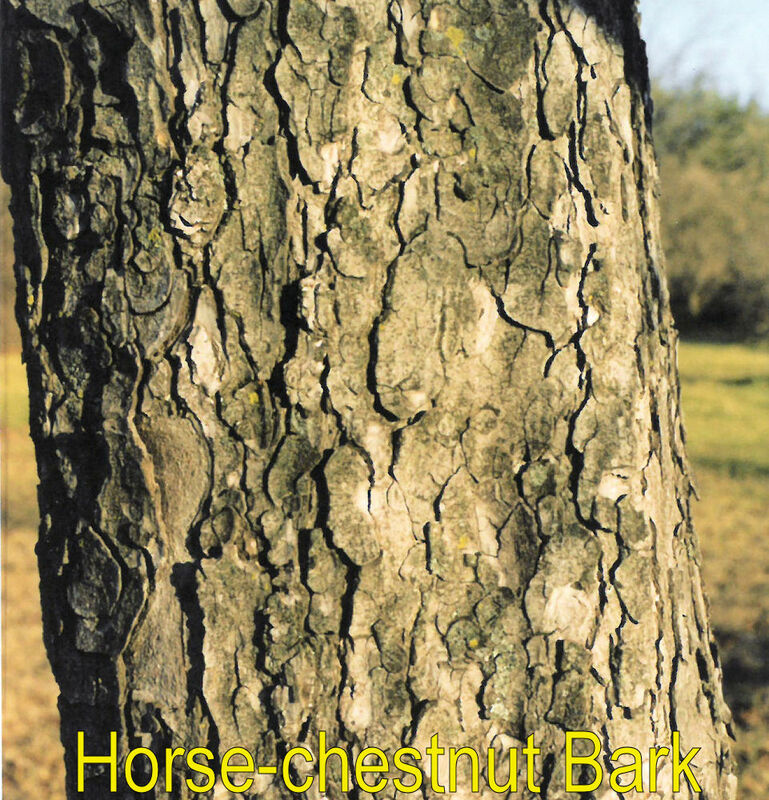 The BARK is dark gray and develops neat vertical ridges on older trees. 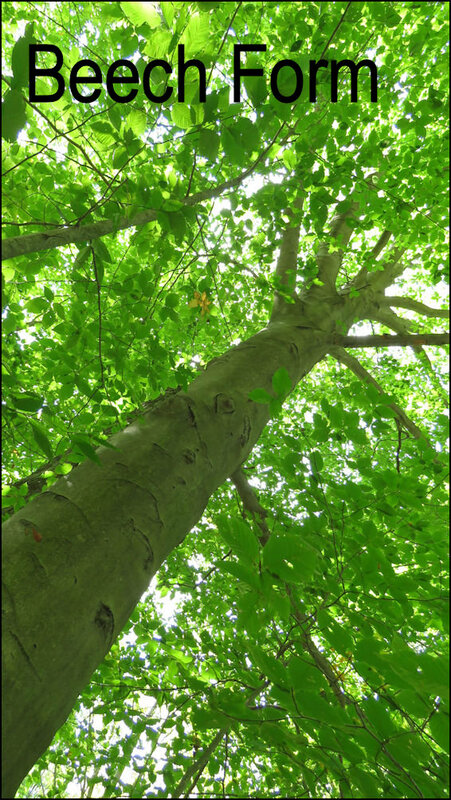 TRUNKS are often tall, well-formed, sometimes sweepy but clear of branches until high in the tree. 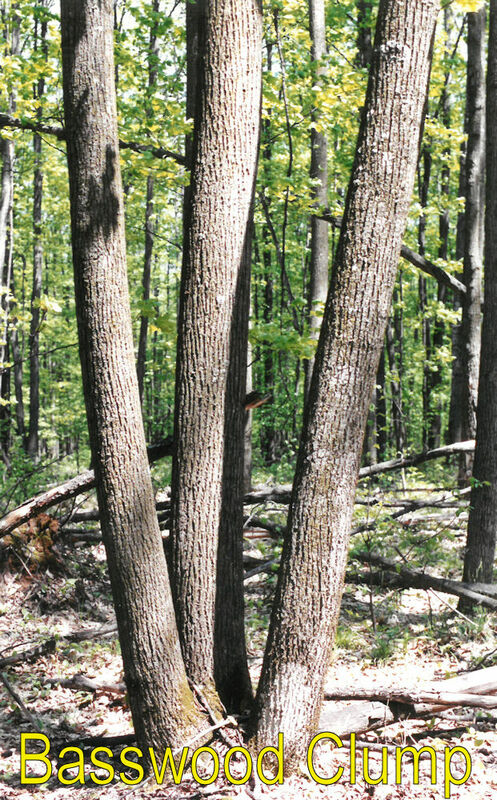 Basswood often grows in CLUMPS originating from stump sprouts. 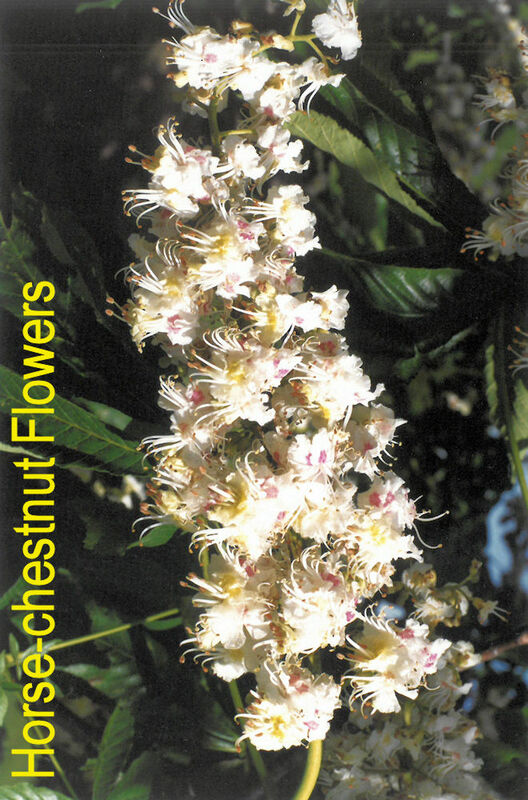 The crown is small relative to other trees. 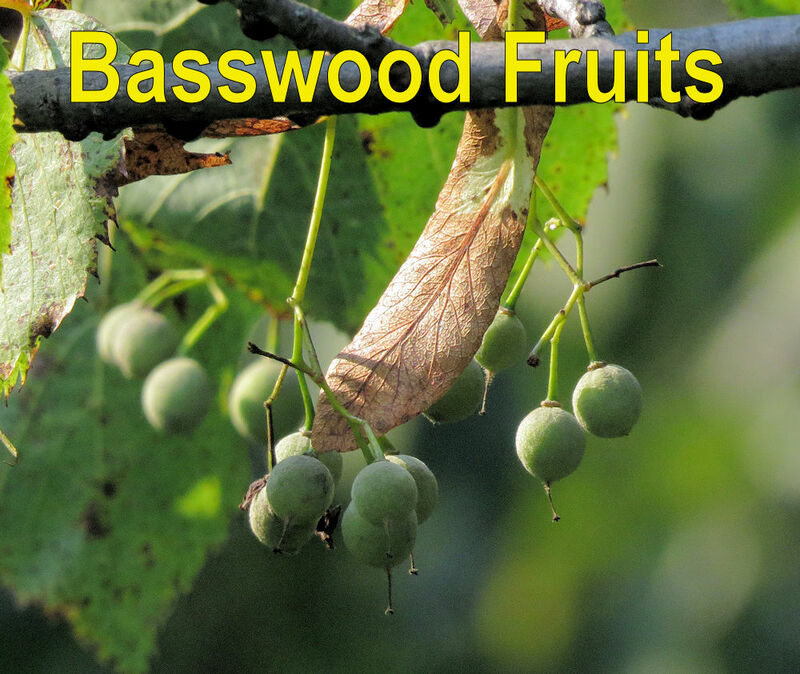 Basswood grows most commonly in the northern hardwood forest type in ASSOCIATION with sugar maple and beech. Sometimes it will grow in floodplains along rivers. Common Pests: loopers, cankerworms, tussock moths. 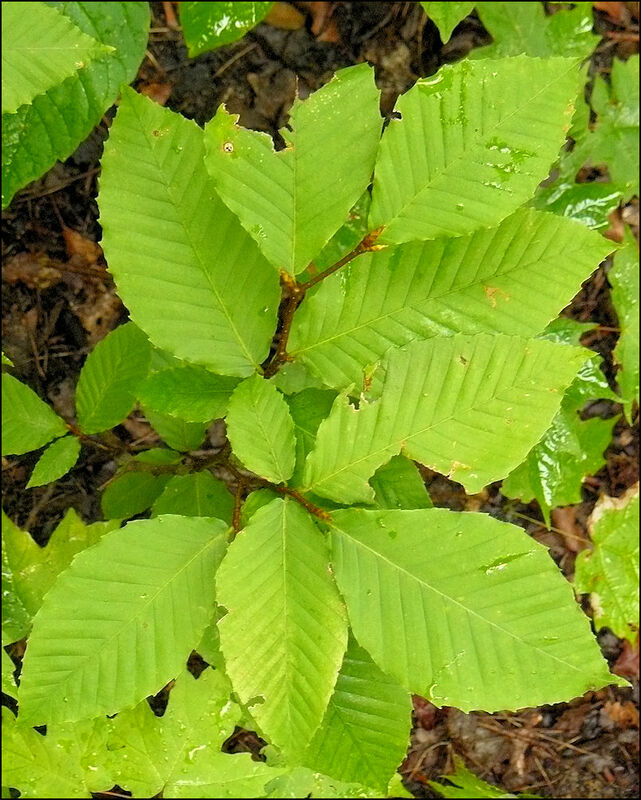 Beech LEAVES are 3-4 inches long with many "points" or coarse teeth along the margin. 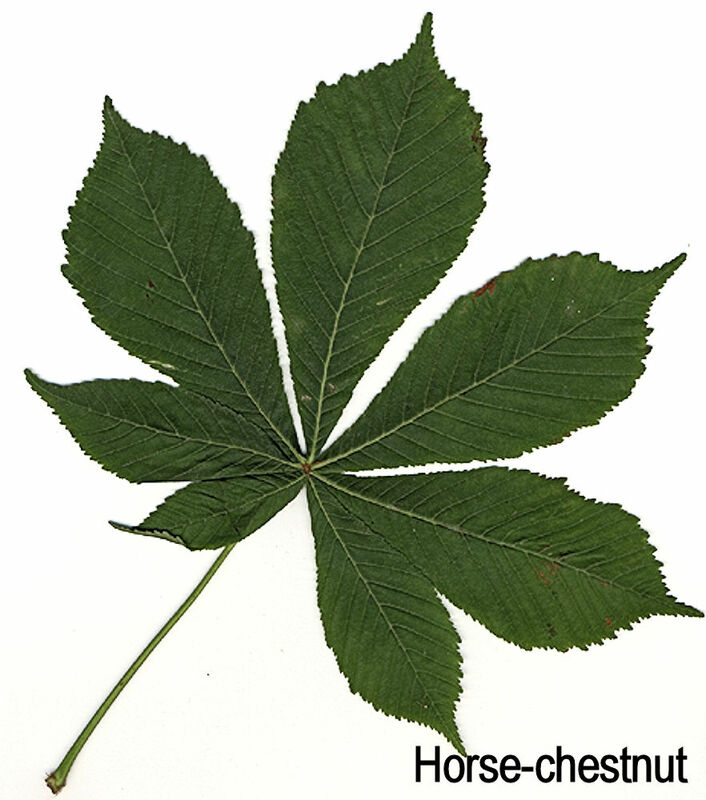 Lateral leaf veins are nearly parallel with each other. 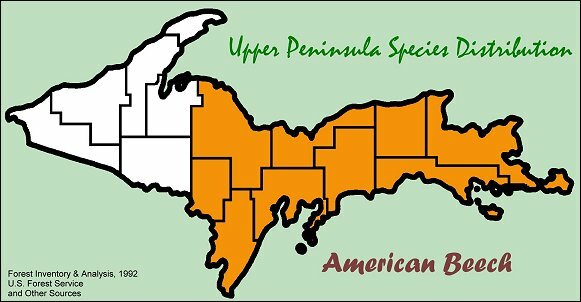 There are not any other U.P. 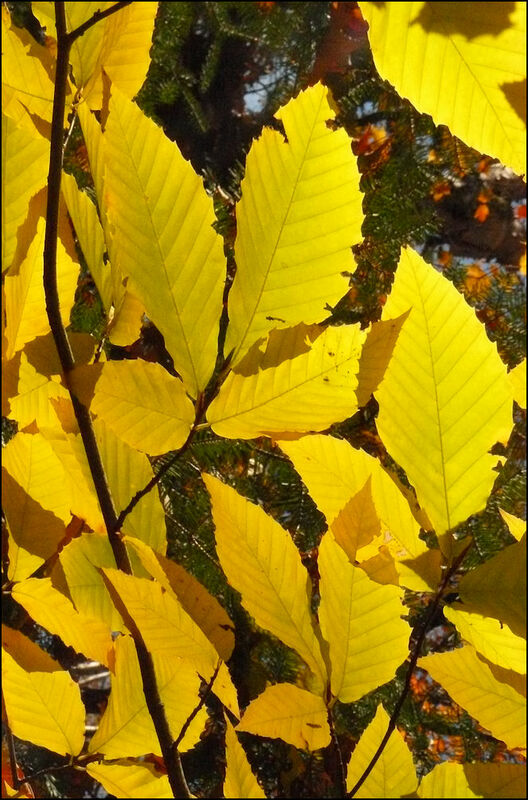 trees with leaves similar to beech. 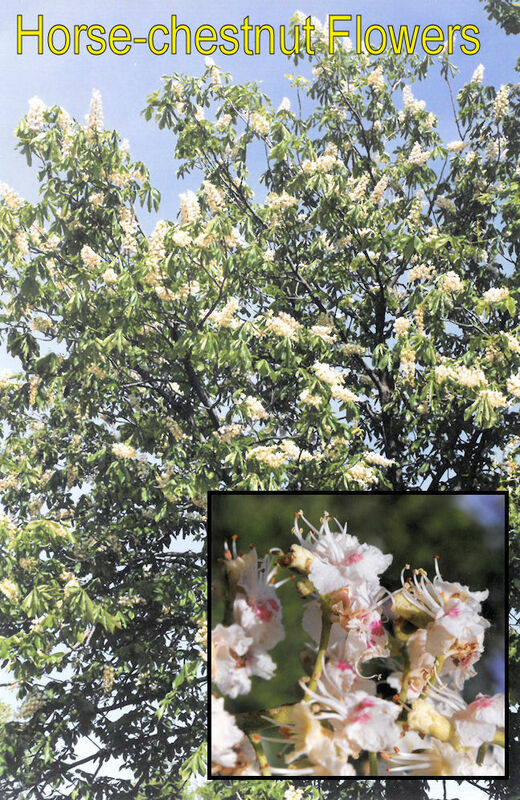 Separate male and female FLOWER clusters form in the spring. 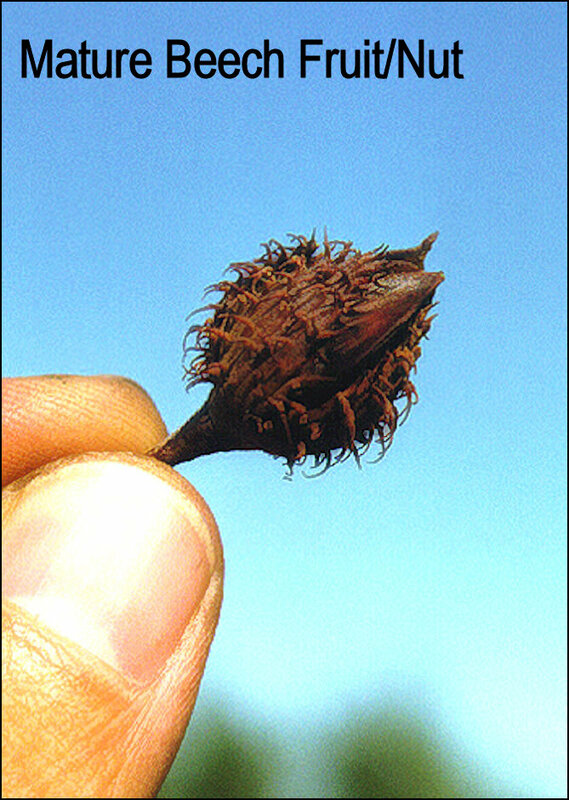 BEECH-NUTS are about a half inch in size, housed in a spiny husk that splits into four parts. 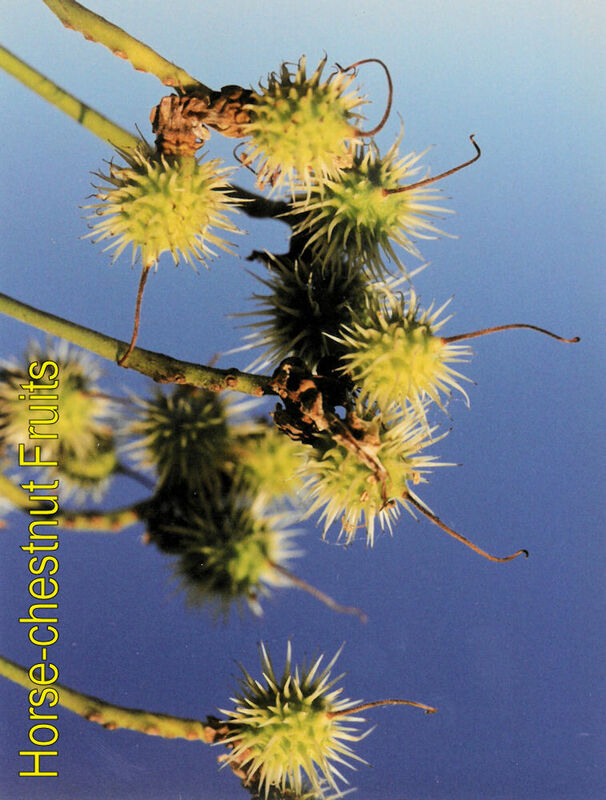 The triangular nuts ripen in the fall and are an excellent food source for many species of wildlife, such as deer and turkey. 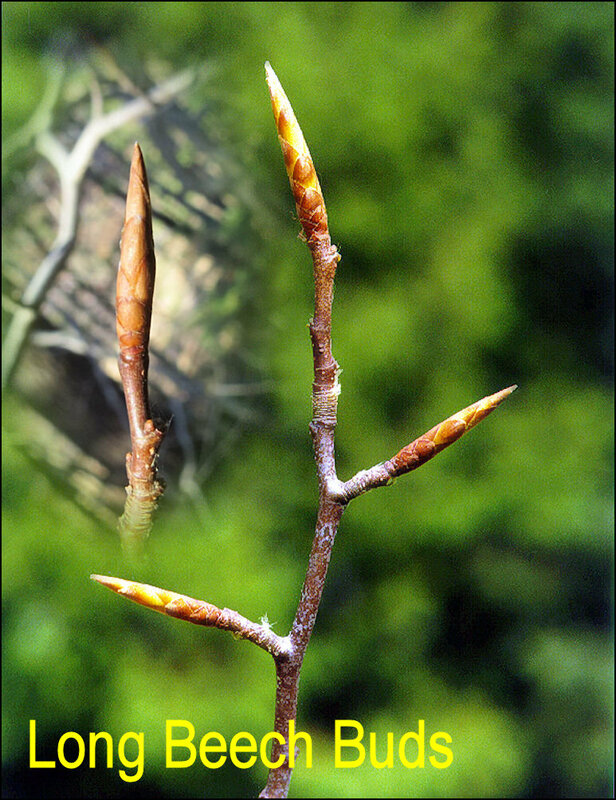 TWIGS are brown and slender. 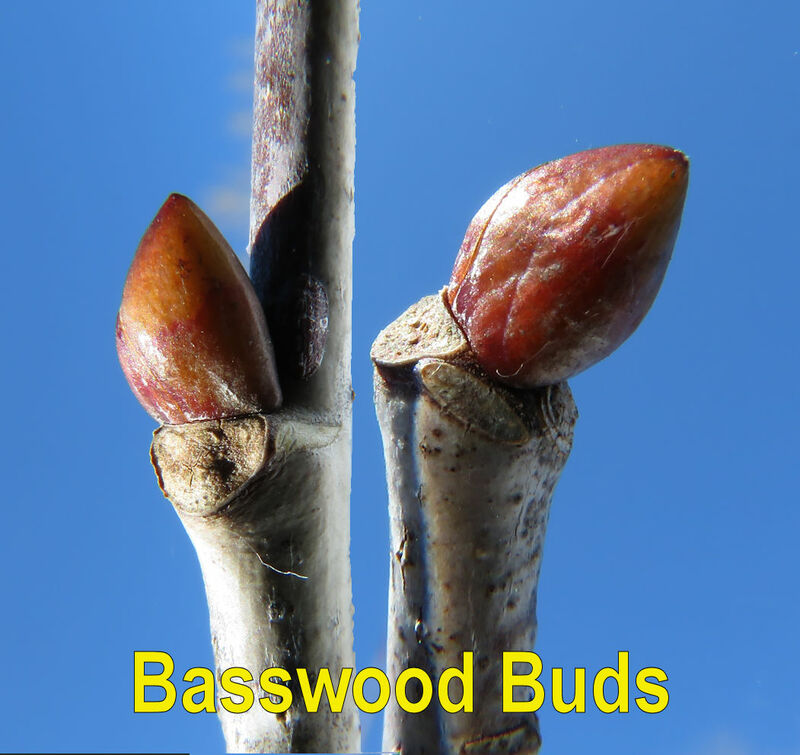 The terminal BUDS of beech are about an inch long, shaped sort of like little cigars. 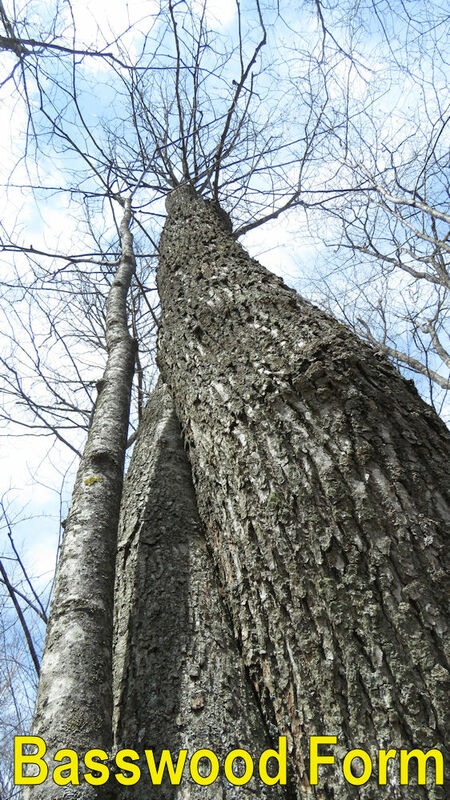 The BARK is smooth and gray, even in large diameter trees. 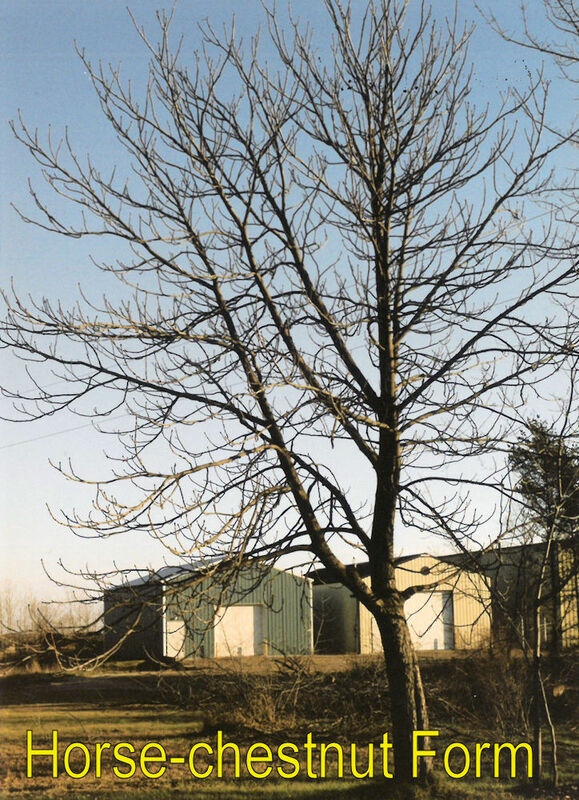 Tree SIZES can usually reach 60-80 feet in height and 2-3 feet in diameter. 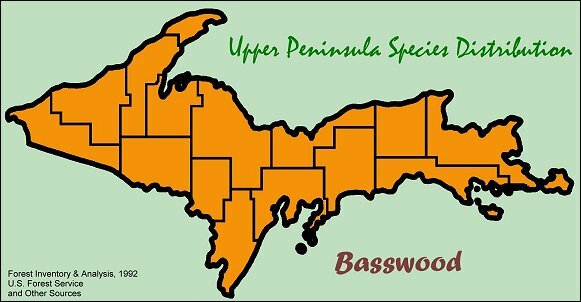 Beech is a common ASSOCIATE of our northern hardwood forest type, but only in the eastern U.P. 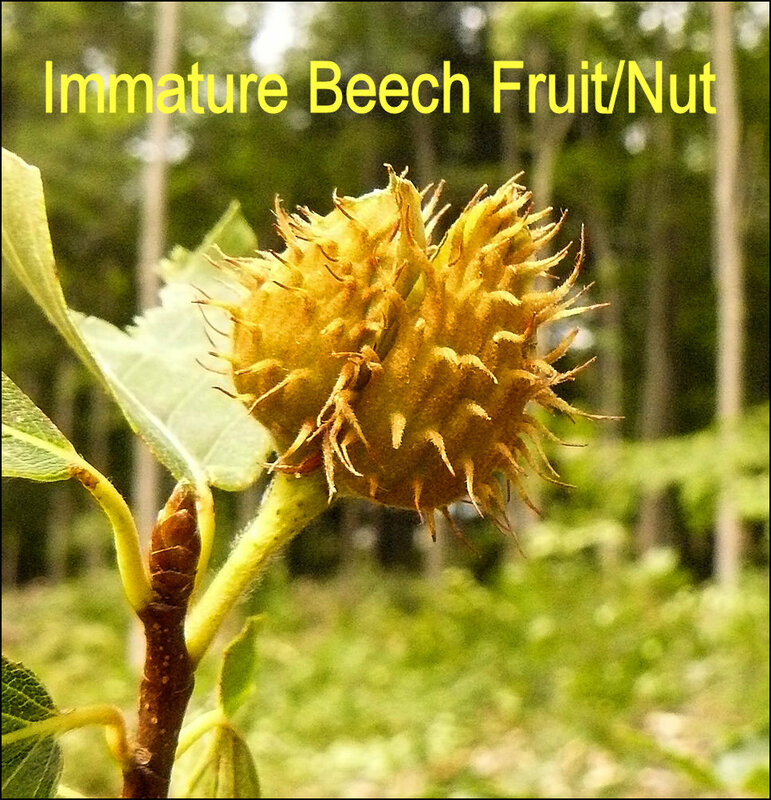 Oddly enough, beech does not commonly occur in the western counties. 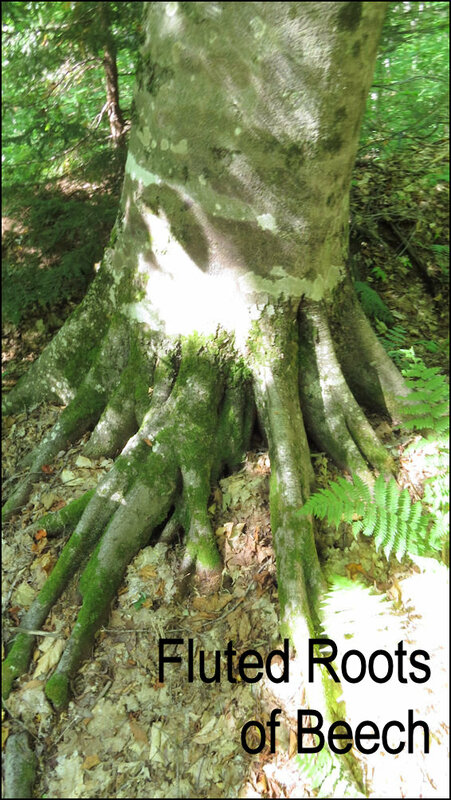 Beech is very tolerant of shade and, as a result, is common in the understory of many forest stands. 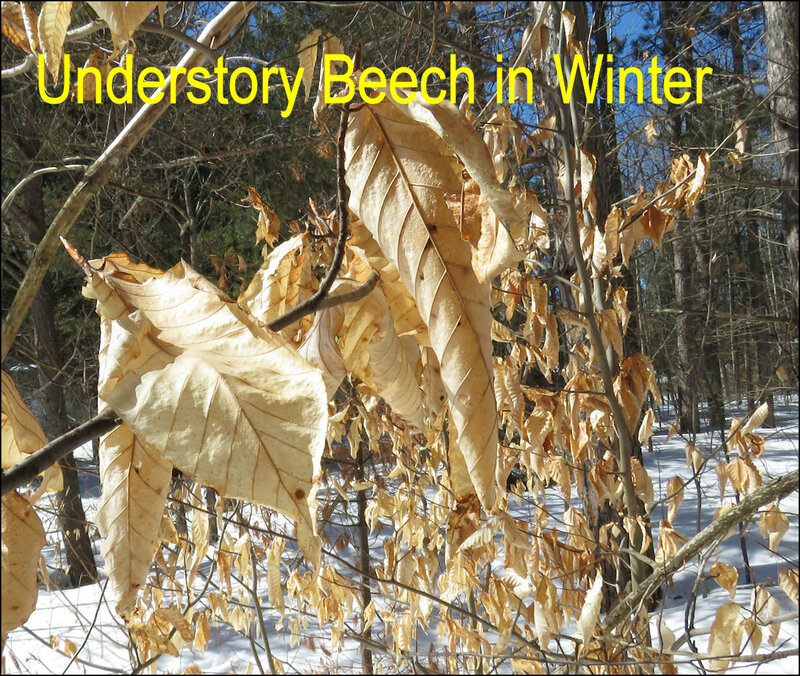 During winter months, these understory beech often retain many of their pale brown leaves. 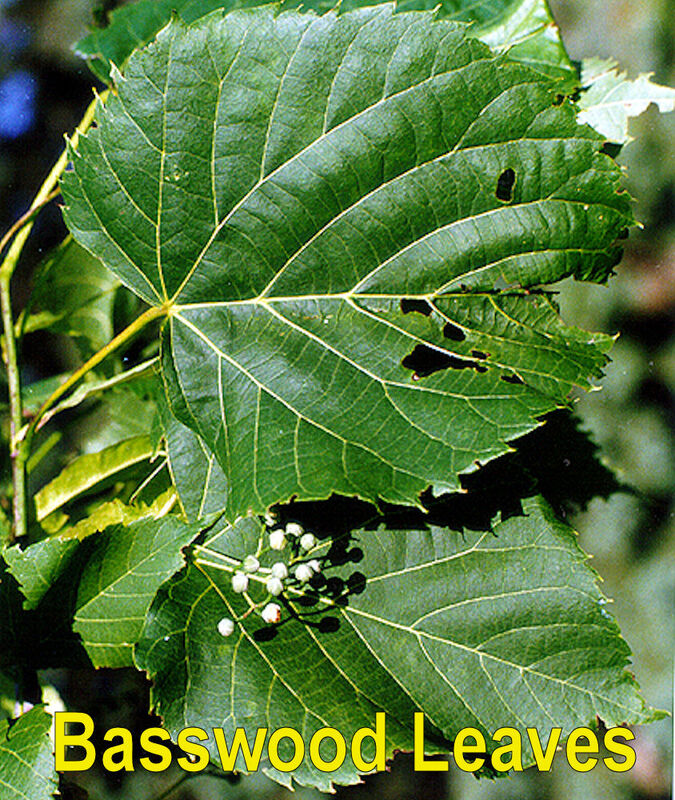 Ironwood is another understory species that will often retain leaves into the winter. 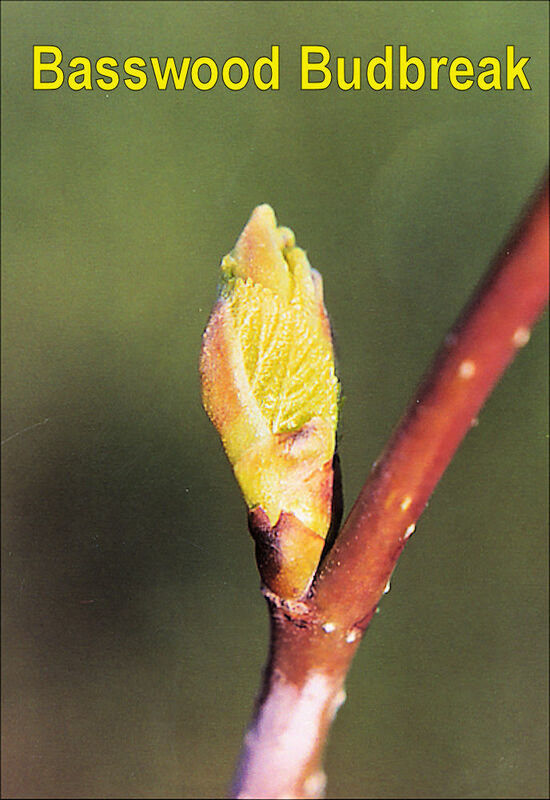 However, ironwood leaves are a darker brown. 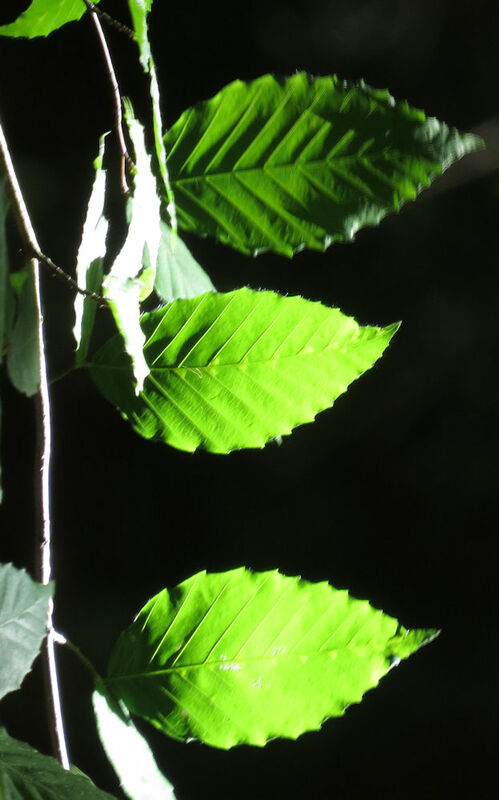 Common Pests: cankerworms, beech bark disease.